IITA-Zambia staff with the DDG-R4D. David Chikoye, Regional Director for Southern Africa, led Zambia-based staff in welcoming the new DDG to SARAH. 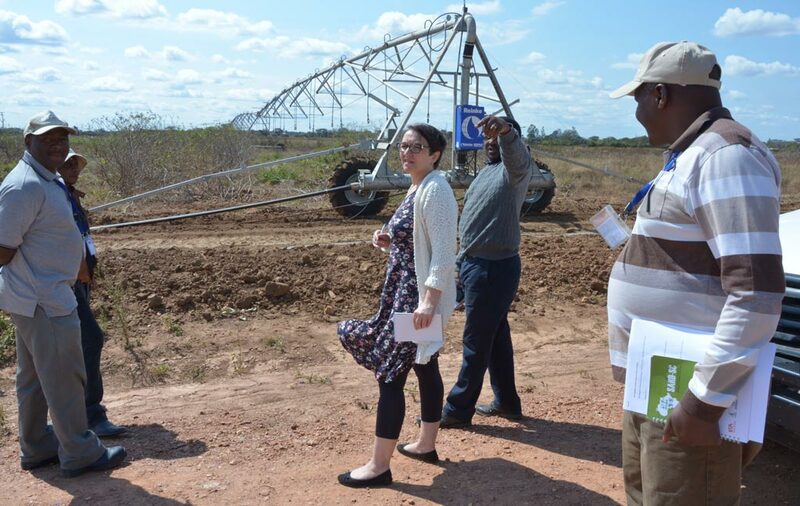 Saethre was particularly interested in IITA-Zambia’s modern mechanized irrigation system, which is currently being tested on-campus, stating that this could serve as a model for other IITA stations to emulate. 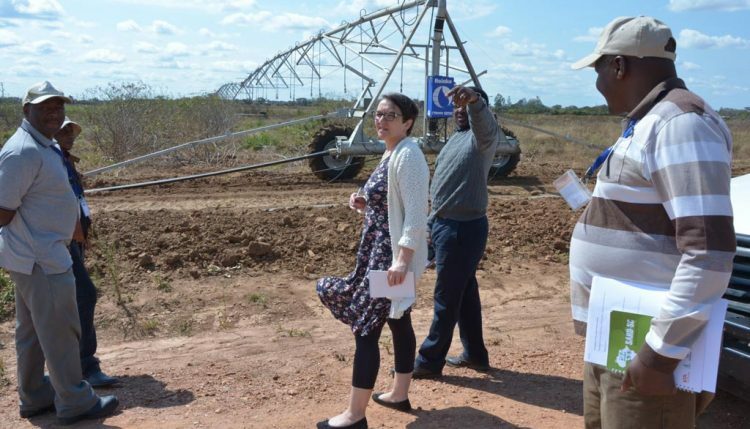 “What you have here could serve as a model of a modern and fully automated irrigation system in our experimental fields in different IITA stations across Africa,” she added. “But more than the irrigation system itself, we need to realize that IITA exists to show farmers that things could be done better and more efficiently in the farm. And this system is a good example,” she emphasized. 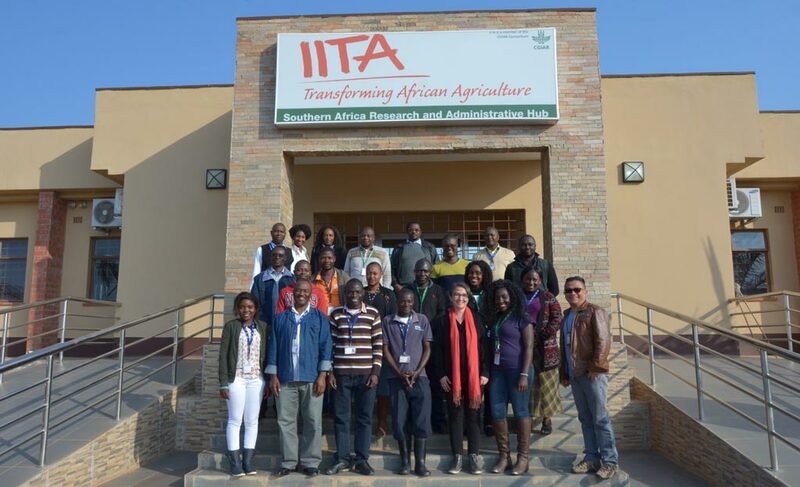 Apart from touring the campus and facilities, the DDG also held meetings with IITA staff based at SARAH as well as those from Malawi and Mozambique, who participated via online conferencing. Here, the DDG briefed the staff on her plans, and also answered questions asked by staff. DDG Saethre being briefed by Chikoye and other scientists on activities at the experimental field at SARAH. “Rest assured that I and the R4D directorate will do our best to support your initiatives in southern Africa. And thank you very much for welcoming and having me here. I am very sure that I will be back soon,” she concluded.